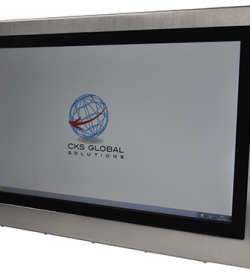 Our Industrial Panel PCs are our top sellers. 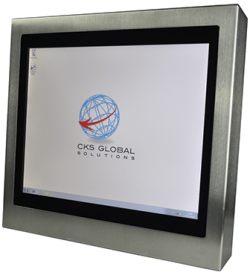 Integrating it with Resistive or Projected Capacitive Touchscreens (known as PCAP Touchscreens) makes the use of a Panel PC ideal in areas where extra hardware such as a wired mouse and keyboard becomes cumbersome. Sealed up to an IP rating of IP69K making those suitable for wash down areas. Perfect for industries such as food processing where a lot of muck such as fish scales is exchanged between an end-user’s glove and the touchscreen itself. Full customisation abilities using the ‘Build Yours Now!’ section on the individual product page. Will the person operating the touch screen always be using bare fingers, using a mouse/stylus or will they be wearing gloves? Most capacitive touch screens only become sensitive when used with bare fingers. Hence normally they are not going to work properly when used with gloved fingers, unless the user is wearing very thin gloves. We have a selection of touchscreen firmware to suit different applications; we will work closely with you to find out your applications requirements and set the touchscreen firmware to suit, giving you the possibility of operating the touchscreen with thick gloves in a freezer environment and more. Is the capacitive touch screen exposed to getting scratched by anything hard? Resistive screens come with a soft plastic layer over the surface as they are operated through sensing pressure. For that reason, resistive touchscreens are more prone to getting scratched. For optimal resistance to scratching, it’s best to use our PCAP touchscreens as they come fitted with a flush 4mm Polycarbonate Filter to protect it from damage and ingress. Is the LCD contrast and brightness important? Is it going to be viewed or utilised in direct sunlight? Often, a capacitive touch screen reduces the display contrast because it has conductive plastic layers over the screen. Is the touch screen likely to be exposed to lots of dust or water drops? Resistive touch screens generally provide excellent resistance to both dust and water. Projected capacitive touchscreens tend to get false “touch” detections coming from even small water drops, however at CKS we have taken this into account and are able to offer a touchscreen firmware that has Built-In Water Detection. Disabling the touchscreen if too many false “touch” detections are seen, allowing for the end-user to wipe the screen down and bring functionality back to normal. Will the touch screen be used outdoors? Resistive touch screens get affected by UV light while their plastic layers reduce the readability when under sunlight. The best touch screens for outdoor usage are usually Projected Capacitive. For superior industrial computer products, contact CKS Global Solutions. We bring you high-quality devices and equipment.